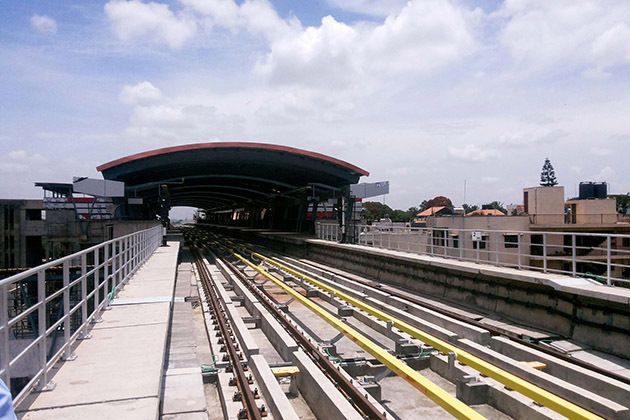 Hanoi Metro Line 3 (Nhon – Hanoi Station section), also known as Van Mieu line, is one of the under-construction mass transit urban railway line in the network of Hanoi Metro. 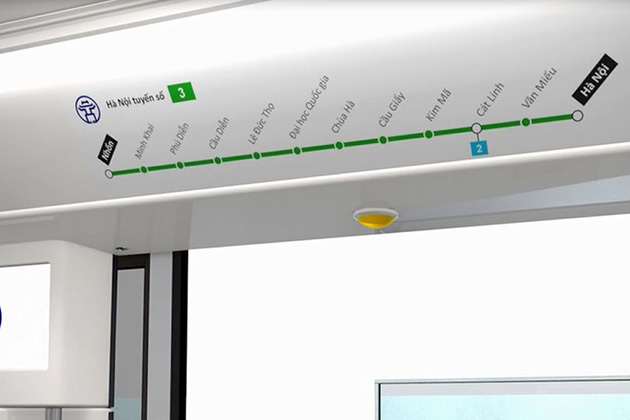 It will be the second line to be utilized in the metro network, aimed to serve in and around Hanoi. According to the plan, Hanoi Metro plays an important role in decreasing congestion and enhancing urban traffic. Despite under-construction status, the estimated reports have proved that 20% of Hanoian in 6 districts can benefit from the line. Vietnam transportation is completely a serious problem, the traffic-jam often occurs at any time of the day, and the traffic infrastructure is maintaining at the extremely low quality and almost outdated design. However, transportation in Vietnam is enhancing rapidly in terms of both quantity and quality. 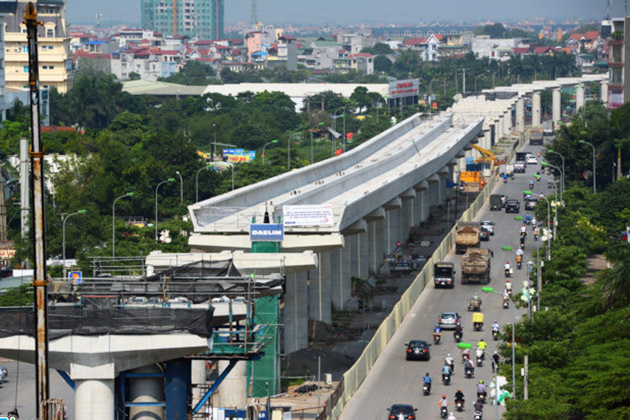 Recently, the construction of expressways has accelerated a lot, now we have the Hanoi Metro line 2 Cat Linh – Ha Dong, done and started the trial, but the Hanoi Metro line 3 has been under construction and projected to begin operations in 2023. The development of Hanoi Metro 3 involves construction works, which can obviously generate adverse impacts on our environment. The impacts have been assessed in an international standard, the most impacts affecting Hanoians during construction may consist of excessive dust and noise, the traffic disturbances, and the relocation of age-old trees along the line. Inspire the fact that temporary impacts, the environmental benefits consisting of enhanced air quality, community health, and reduced greenhouse gas emission will exceed the adverse environmental impacts. The rail is used 1,435mm double-track European standard type B. The trains will be from 2.75-3 meter wide, 20 meters long, and 3.69 meters in height. The railway platform is 109 meter in length. The maximum capacity is 916 passengers per each 4-wagon train, with a density of 6 passengers in a meter square. The underground part was dug by Tunnel Boring Machine and it consists of 2 single tubes. 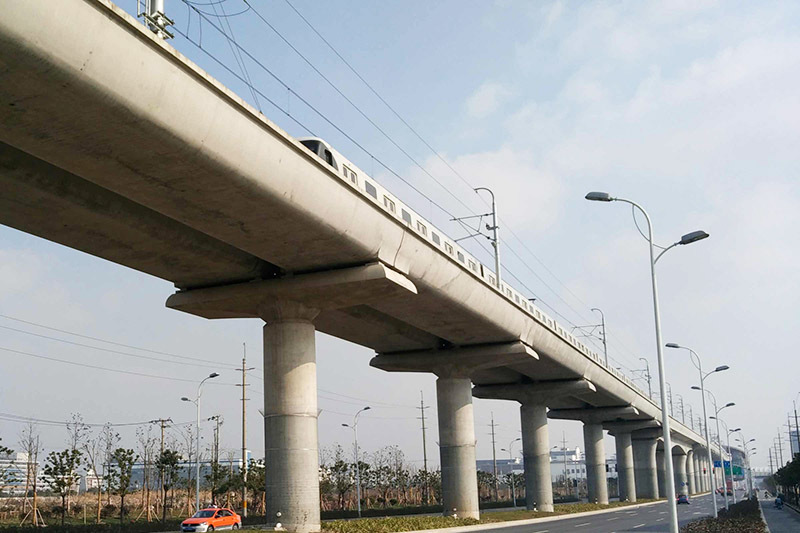 The route of Van Mieu line (Nhon – Hanoi Urban Railway) will start from Nhon to National Highway 32 – Cau Dien – Mai Dich – Beltway Road 3 intersection – Cau Giay (Beltway 2 intersection) – Kim Ma – Giang Vo – Cat Linh – Quoc Tu Giam – Tran Hung Dao Street or Hanoi Station. As the physical design of the line, there have some proposes that using the 8 elevated stations in advance compared to the underground stations. Because the underground stations have taken a few years to finish the construction work and begin trial while the elevated stations have been completed and they’re able to start trials.